A cobalt blue base and light catching facets are the highlight of our Blue Base Faceted Circle Crystal Awards! 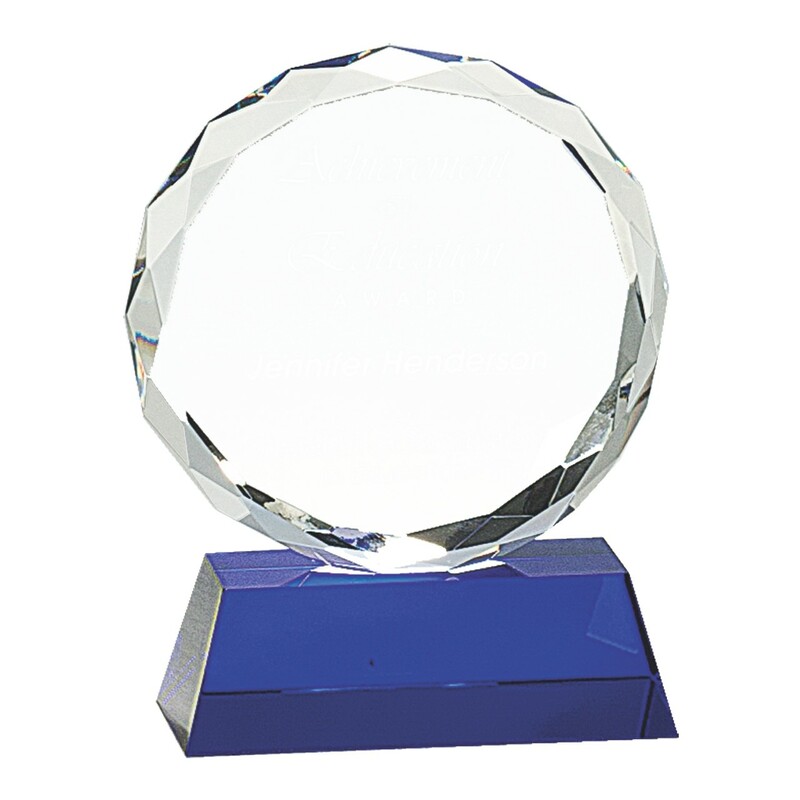 These premium crystal awards come in three convenient sizes and arrive ready to present in a blue velvet lined presentation box. Your etching is included in the price.